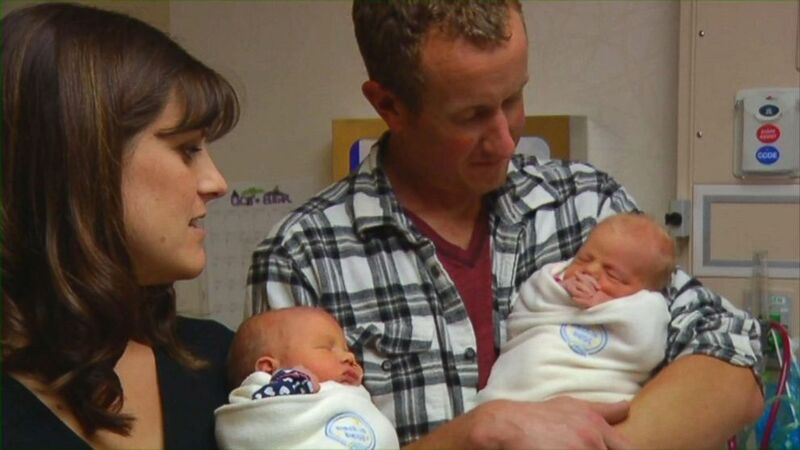 Two Minnesota police officers are being hailed for resuscitating a baby and delivering her twin after responding to an emergency call earlier this week. Nichole Mickelson was home with her 2-year-old son when she went into labor after taking a shower early Tuesday morning. She called her mother and her husband, who had left early for work, to inform them about her situation, and then she called 911. “By the time I got out of the shower. 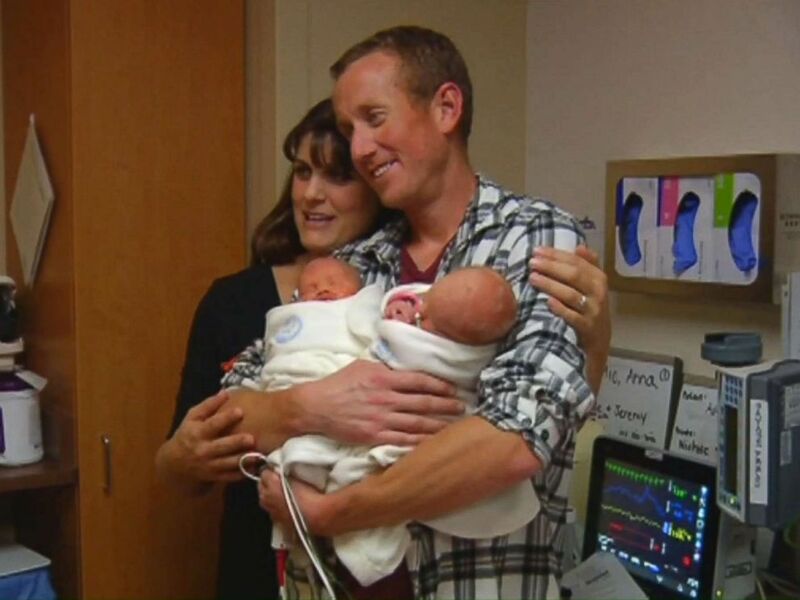 I was already having full-blown contractions,” Mickelson, who lives in the city of Wyoming, told ABC News. Two officers from the Wyoming Police Department were dispatched to Mickelson’s home. When they arrived there, they found her door locked, with no other way to enter the home. Minnesota police officers resuscitated a newborn and help deliver her twin after responding to an emergency call, in Wyoming, Minn., Oct 9, 2018. Mickelson saw that the first baby wasn’t breathing, but she couldn’t try to rescue her because she was still having contractions and was about to give birth to the second baby. “But that's when the police arrived,” Mickelson said. When anybody's put in that kind of situation, I think adrenaline takes over and you don't really have time to be nervous or panicky. Upon their arrival, one of the officers immediately went to perform CPR on the baby that wasn’t breathing. “The officer sprang into action and began CPR on the newborn baby girl, Anna, clearing the airway, giving mouth-to-mouth and compression until she came to life with that familiar newborn cry,” police said. After helping baby Anna breathe, the officers helped deliver Mickelson’s second daughter. Dealing with both resuscitating a baby who can’t breathe and delivering another baby at the same time is extremely rare, the police said. Mickelson said that as a nurse she could tell that the officers had been trained to respond to such situations, but that they probably never had to do it in real life. "When anybody's put in that kind of situation I think adrenaline takes over and you don't really have time to be nervous or panicky,” she said. In the police statement, Hoppe welcomed the two new members to the Wyoming community and thanked the officers for their response.